The distinctive archives that the Palafoxiana Library beholds are one of the most valuable and richest in content of the whole American continent. For that reason the Palafoxiana was entitled “Memory of the World” site from UNESCO in 2005. The catalogue of the Palafoxiana Library, not only identifies, describes and helps manage the very valuable printed collections. But has also, let a record of who consulted it, as well as, let specialists know the significance of its content. The Palafoxiana Library is structured in three major collections; on the first hand by old books, secondly by manuscripts, and last by pamphlets and broadsheets. These three collections are scattered in 54 subjects such as: Canon Law, Theology, Patrology, Pontiffs, Homiletics, Liturgy, hagiography, Civil Law, Civil History, Medicine, Philosophy, Geography, Literature, Chemistry, Industry studies such as others. Regarding documents in different languages, the Palafoxiana has around twenty languages spread in all its collections, languages such as; Spanish, Latin, French, Italian, English, Portuguese, German, Dutch, Náhuatl, Mixtec, Greek, Hebrew and Arab, just to mention a few. Some of the most notable old books that the library beholds are the incunabula archives, such as The Nine Books of History printed in 1473 by the great Herodotus. Another very important incunabula book that the Palafoxiana safeguards is the Nuremberg Chronicle also known as Book of Chronicles, printed by Antón Koberger and illustrated with more than two thousand watermark paintings by William Pleydenwuff and Michael Wohgemoutt, apprentice of the great Albrecht Dürer. There are also old books that are very rare to find such as The Polyglot Bible of Benedict Arias Montaño, known to be printed within the years of 1569 and 1573 in eight tomes, in languages such as Greek, Latín, Hebrew and Chaldaic. This Polyglot Bible was printed by Chrisopher Platino in Ambers. Regarding books about anatomy and medicine, this magnificent library-museum possesses, the amazing Humani Corporis of Andreas Vesalius, printed by Ioannes Oporini in Basel in 1543. In other aspects, there is also a copy of The Vocabulary of Alonso de Molina of 1571 that was printed by Antonio Espinosa, this book is very valuable due to be the first record of the vocabulary of that time, published in México and spread throughout all Latin America. Going back to the biblical roots, there is also a copy of the Christian Doctrine by the Agustinian Fray Juan de la Anunciación, printed by Pedro Bali in 1575. Within the collection of the 5345 manuscripts, it’s mainly constituted by testimonies that refer to the most outstanding stages the Palafoxiana Library has lived throughout, particularly referring to documentation of ecclesiastical administration, pastoral practices, comments of Puebla´s bishops in term, as well as, exchange of letters with other dioceses in Latin America and Europe. These manuscripts are so valuable since they are a record of how the intellectuals thought in those times, what where the views of the different dioceses’ and their worries and mainly, how the religious life was lead in the Royal Seminary Palafoxiano, first one in America. The cataloguing of the palafoxiana repository, not only led to the easy access of identification of printed masterpieces related to evangelization in America, but also research, inquiries, and academic preparation for Novo-Hispanic studies. 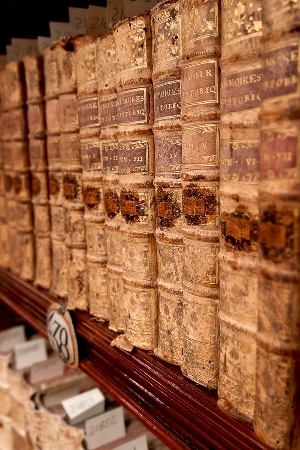 Therefore all of this mentioned, we can observe that the Palafoxiana Library is one of the very few colonial archives and heritage documents that is still perfect conditions and very well safeguarded, with more than 45,000 old books, 3000 documents such as brochures, broadsheets, and even more the 5000 manuscripts.